David Fincher’s classic Fight Club celebrates its 10th anniversary this year with its long-awaited debut on Blu-ray Disc. To mark the release, two special websites have been created to immerse fans in the world of the film. WelcomeToFC.com integrates with your Facebook profile and gives it a Fight Club style makeover, while FightClubExperience.com allows visitors to download a widget which collates all Fight Club information happening on the web (from Twitter, Flickr, YouTube etc) in one place. 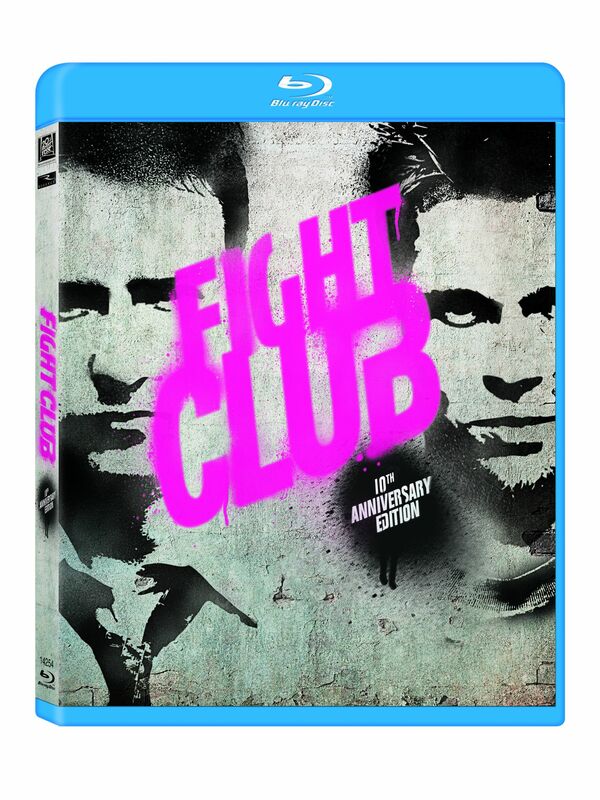 It also gives access to exclusive video clips and of course, the famous rules of Fight Club. As for the BD itself, in addition to a pristine cut of the film there are all-new bonus materials including two interactive featurettes – “A Hit In The Ear: Ren Klyce and the Sound Design of Fight Club,” which lets viewers remix four key scenes themselves with the help of Oscar-nominated sound designer Ren Klyce, and “Insomniac Mode: I Am Jack’s Search Index,” a set of interactive tools that allow viewers to immediately access any of the bonus material on the disc. 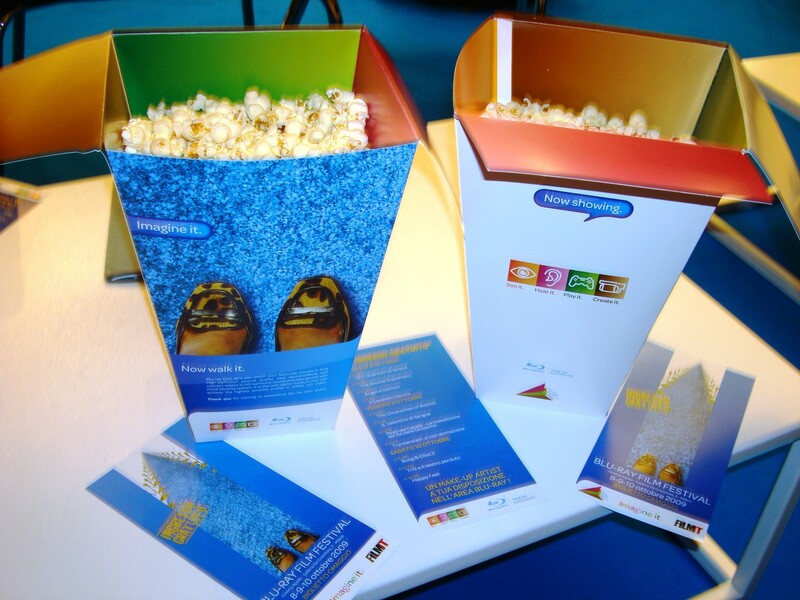 Last month the Blu-ray Disc Association arrived in Milan for its Italian film festival. The event was a huge success, attracting over 50 journalists and 1,000 members of the public over four days. 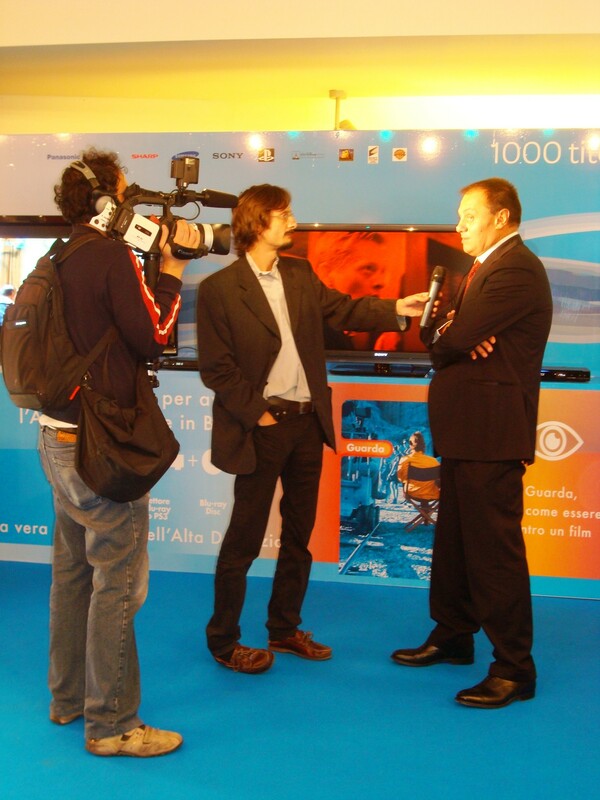 Hosted by Stefano Scauri, President of the Italian Blu-ray Disc promotion group, the festival featured an impressive walled display of HDTVs and BD players, each screening a variety of BD content with product experts on hand to answer questions. Journalists attending the festival’s press day included representatives from CNBC TV, Repubblica.it and Corriere Magazine. They were treated to screenings of several Blu-ray Discs, including Angels & Demons and The Bourne Supremacy, and interviews with Stefano and the rest of the Italian promotions team. As a result the festival enjoyed widespread media coverage – including articles in Repubblica.it and Corriere.it, and video coverage on Condé Nast website MenStyle.it. The British Video Association (BVA) has announced that it is set to launch a £1 million through-the-line marketing campaign to raise awareness of the benefits of the Blu-ray format and the new BD releases taking place in the run-up to Christmas. The campaign, launched by the BVA on behalf of Sony Pictures Home Entertainment, Twentieth Century Fox Home Entertainment, Universal Pictures (UK) Ltd., Walt Disney Studios Home Entertainment UK and Warner Home Video, will be spearheaded by TV advertising across all major UK channels throughout November and December, reaching an audience of over 40 million individuals. The advertising will be supported by strategic public relations activity to boost consumer understanding and demand for the BD format, and a revamp of the Blu-ray Revolution website. Full details on the campaign, which coincides with the release of several key BD titles for the Christmas period, can be found here.